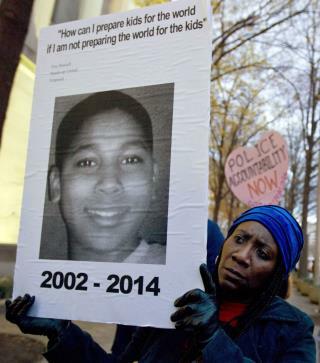 (Newser) – The city of Cleveland will pay the family of Tamir Rice $6 million over the boy's fatal shooting in 2014, reports CNN. The payment settles a federal lawsuit filed by the family after a trainee police officer shot and killed Tamir at a city park. Under the settlement—Tamir's estate gets $5.5 million, and his mother and sister get $250,000 apiece—the city admits no wrongdoing. The payout is in line with similar cases, notes Cleveland.com, including the $5 million paid by Chicago over the Laquan McDonald shooting and the $6.4 million paid by Baltimore in the Freddie Gray shooting. Bad/Non-existing Parenting=Big Payout! We're Doomed. This is a horrible tragedy, that being said if this young man was White, no money would be exchanged. Why was this young man carrying a pellet gun around? Killing birds? It's true, no money will ever bring this young man back, but lets take a look at the parents. And in a year they'll be broke.